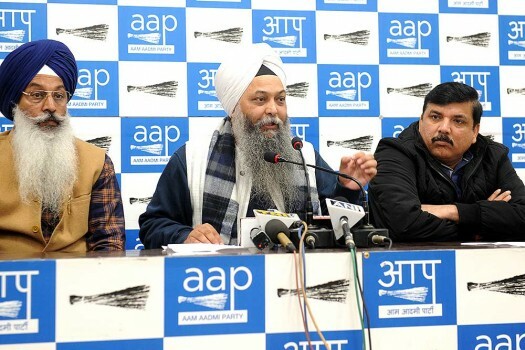 AAP leader Sanjay Singh (R) and Jarnail Singh (C) at Press conference on 1984 anti-Sikh riots, in New Delhi. AAP convener Arvind Kejriwal with party candidate Jarnail Singh during an election campaign in New Delhi. 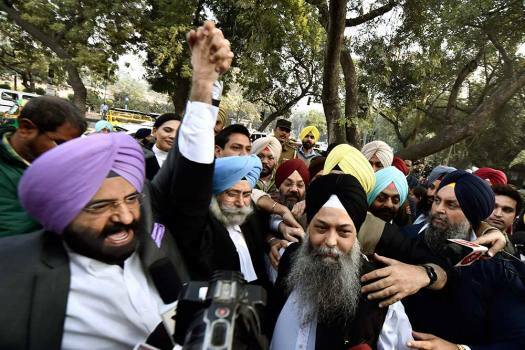 Jarnail Singh Chidambaram ducked, but Sajjan Kumar and Jagdish Tytler could not. 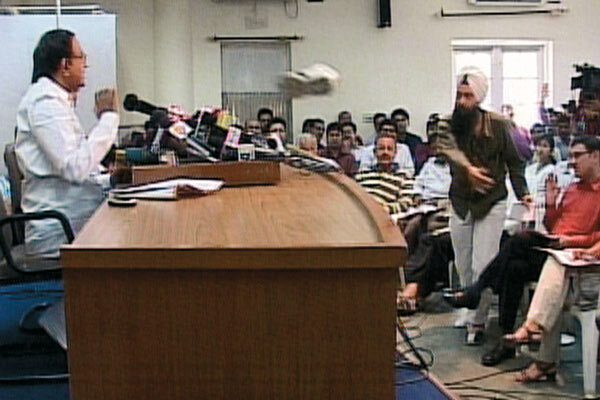 What would have been the reaction of Indians if the shoe thrown by Jarnail Singh at Home Minister P. Chidambaram had actually hit his face? Sympathy is a sentiment best measured by mercury. A little shake of the thermometer and it can shoot off in either direction. 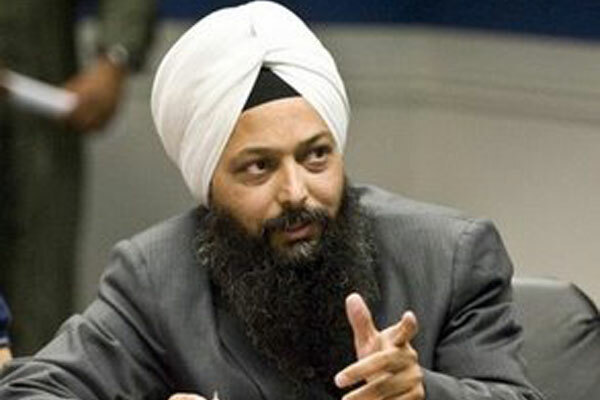 Jarnail Singh did himself a great favour by missing. 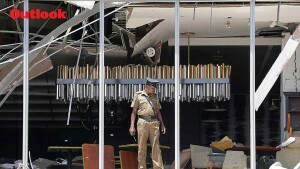 If the shoe had hit the Home Minister smack in the face, who knows, he may have shared some sympathy. The errant shoe did far more damage than an accurate one might have done. 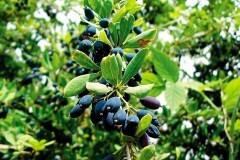 It served Indian sentiment to a nicety, by delivering a sharp message without causing physical damage. 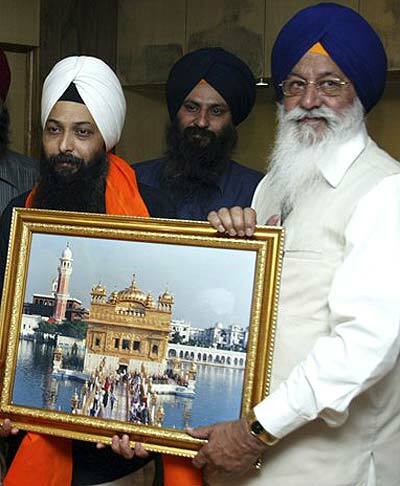 Singh claims that he had never meant to hit the Home Minister in any case, but I am not too sure that he was in control of his actions when he suddenly spurted into the national limelight and Sikh lore. It was an involuntary gesture sparked by a deep, traumatic pain, a signal that the human spirit would not be defeated even when the hopelessness of an individual confronted a massive and even insolent cover-up by authority. When the shoe flew past Union home minister Palaniappan Chidambaram and the camera showed two men packing off the sardar from the Congress Party venue, I knew it — the face was turned away from the cameras but that gait had to belong to my friend Jarnail. Jarnail Singh, who hates getting out on zero, who tonks the tennis ball a long way during winter weekends of cricket and chucks the ball a long way from the fence, too, had thrown — and missed — a target two metres from where he was sitting. But he had made the transition from byline to headline.